Happy Friday friends! I hope you all had a great week! Topher was out of town, but getting back tonight thankfully. I’ve been fighting off a virus all week but seem to be on the tail end of it. The last few weeks I’ve been watching Madame Secretary, which I’ve really liked. It seems like it’s a little more watered-down version of Scandal, but I still have enjoyed it. After reading all of the Crazy Rich Asian trilogy, Topher took me to see the movie for my BD last weekend. It was really good! The links to the books are down below. Today I’ve got another round of 30 Under 30 for you! 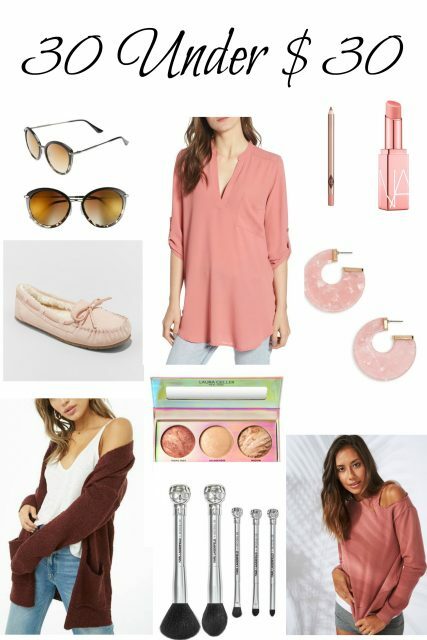 There are some great deals on some super cute items for fall! J. CREW– 30% off full-price styles plus free shipping!